That's right, it's time for And finally — your chance to look back on the lighter wearable tech stories from the past seven days. Not only did we see Google follow Amazon's surprise event last week with a stream of new products, including the Google Pixel Buds and the Google Home Max, but we also got our first look at the Samsung Odyssey, which appears set to become a flagship for the Windows Mixed Reality arsenal. But that's not all from this week, so read on for everything you might have missed. 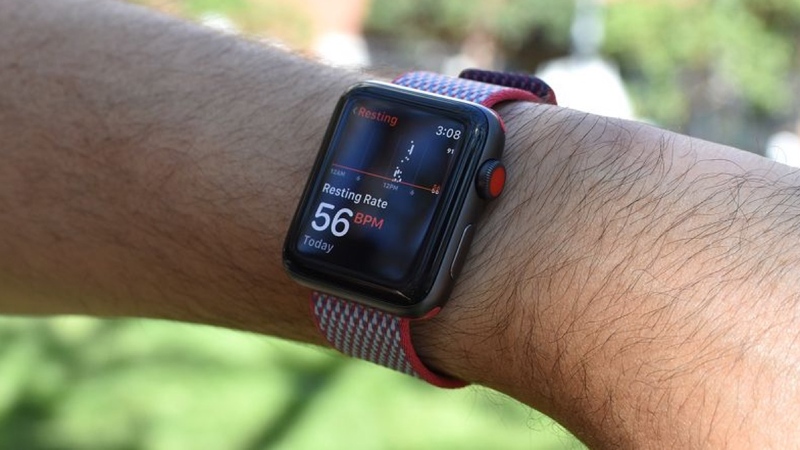 Apple pushed further into health tracking with watchOS 4 and the Apple Watch Series 3, and now it could be gearing up to offer blood pressure monitoring to users. That's if a filing uncovered by the folks at Patently Apple is to be believed, with the company describing a method whereby its Apple Watch could pick up readings with a sensor-equipped strap. Essentially, the idea goes that if you can detect a heartbeat and also the effect the pulse has on your wrist, you can time how long it takes to get from your heart to your wrist. As the patent details, this is known as pulse transit time and can be used to calculate blood pressure. In practice, the in-built accelerometer would be held against the chest to detect heart beat while the existing heart rate sensor would pick up the pulse. Pretty neat, huh? And while patents are always sketchy items to base future projections from, the fact Apple has emphasised the health capabilities of the Watch over the past year certainly points to this becoming a legitimate option at some point, in some way, further down the line. Looking to merge together its existing smart home tech, Ring has unveiled a security system designed to keep the inside of your house safe. The move comes just after industry rival Nest also moved into smart home security, albeit at a much higher price bracket. For the Nest package, potential punters will have to fork out $499 for the system, which includes a keypad and sensors to keep an eye on two doors or windows. In contrast, Ring Protect will start at $199 for those who want a single window or door to be monitored and a motion sensor. From there, additional sensors can be added for $20 a piece, while motion sensors will be priced at $30. Of course, this means that most users could kit an entire house out for the entry level price of Nest's system. And these two smart home players aren't the only ones to announce security moves, either, with Samsung partnering with ADT to provide its own system, launching at the end of the month for a pricey $549.99. And that's without the optional monthly subscription to ADT's monitoring service, too. With the arrival of watchOS 4 and a new Apple Watch Series 3 Nike+ edition, the Nike+ Run Club app is gaining a bunch of new features. The main addition is Audio Guided Runs, which are a series of workouts from Nike coaches and athletes, such as Mo Farah and err, Kevin Hart. However, there's also a new Activity History feature, which displays the details of your last five runs, while Series 3 owners can also take advantage of the new barometric sensor to keep tabs on elevation. Keeping up the whole 'go get 'em' routine, Nike has tacked on a new "Cheers" feature, too. Essentially, this gives runners the option to notify friends when they're going for a run in order to get a response for motivation. Seems like an elaborate way to humblebrag, in our opinion, but each to their own. Just when you thought the smart home was set to invade every portion of your family life, Mattel has cancelled plans to launch its child-friendly Aristotle smart speaker. The device, which was announced way back in January, was set to offer the likes of baby monitoring, sounds to soothe your child and games to keep them entertained. And now, according to The Washington Post, the toy giant has cancelled the device following concerns over privacy and how data would be stored. Egg Health Innovations has unveiled a pair of glasses that can capture the experience of patients. As PMLive points out, the smartglasses, branded as the Virtual Mile, harbour a hidden camera while utilising algorithms to curate the wearers' experience and keep track of their emotional biometric responses via a companion app. The data thrown to the app will then be transformed into a film that can be viewed through a virtual reality headset, allowing medical professionals to witness a patient's experience from the first person. And while this is a fairly left-wing take on smartglasses, it does potentially hold a future in the health and wellbeing space, particularly within training.